Many bone fragments have been burned in controlled laboratory conditions but few have been burned on outdoor pyres. In order to study and understand cremated bone, it is crucial to conduct experiments in real environmental conditions. In this study several cremations were carried out outdoors using ‘old’ fuels. 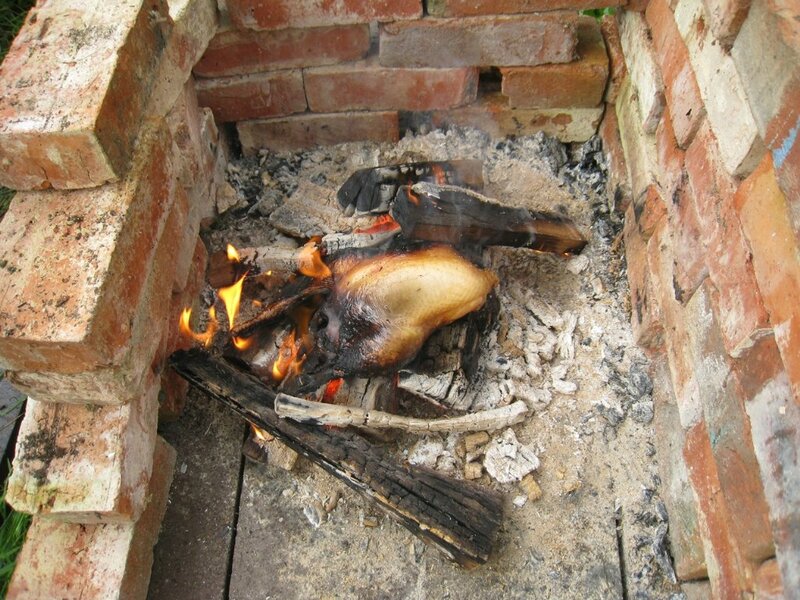 Different animal bones and fleshed joints were burned, including lamb, pig, cow, chicken and fish. Experiments show that very high temperatures (above 900ºC) can be achieved in outdoor conditions but that it is difficult to reach full calcination of bone on small pyres: some parts are white (calcined) while others remain black (charred). Results indicate that, as expected, bone structure changes drastically after cremation, and, more importantly, that bone exchanges large amounts of carbon with its surrounding environment: after burning with manufactured coal, a modern lamb bone was radiocarbon dated to an age of 4,000 years. The present research highlights the importance of carrying out outdoor cremations: because of the extreme variability in burning conditions (wind, types and amounts of wood used, size of the body, position of the body on the fire, et cetera), it will be possible to obtain a reliable and comprehensive dataset only by burning a wide range of bone fragments on outdoor pyres of various types and sizes, and by doing so on different days and in different regions. Of the various burial practices used by humans, cremation is one of the most common, both nowadays and in the past, including the ancient past. For more than forty thousand years, human bodies have been cremated, leaving calcined bone fragments behind. The oldest extant, presently known cremated remains of a human are those of the Mungo Lady in Australia, which have recently been re-dated to roughly forty thousand years BP by optically stimulated luminescence (OSL) dating (Bowler et al. 2003). Across Europe, cremation dominates in several regions during the Bronze Age and Roman period (McKinley 1997; Wahl 2008). In Britain, more particularly, cremation was practised, contemporaneously with inhumation, from the Early Neolithic until the Saxon period, and was the dominant burial practice during the Middle Bronze Age and Roman-British period (Davies & Mates 2005). In the twenty-first century, the number of funeral cremations has increased markedly compared to a few centuries ago. In some areas of the world such as Sweden, Switzerland and Thailand, today more than 75% of the deceased are incinerated, and even up to 99% in Japan (The Cremation Society of Great Britain 2007). The widespread use of cremation in the past has resulted in abundant charred and calcined human remains in the archaeological record. Their complex structure and chemical composition as well as the incomplete state of knowledge regarding how bone changes when burned, however, has meant that cremated bone has often been left out of biomolecular studies, but have a long history of bioarchaeological investigation (for example McKinley 1997). Nevertheless, cremated bone fragments have been considered to provide reliable radiocarbon dates since 2001 (Lanting et al. 2001; Naysmith et al. 2007). Much research has since been carried out in order to try and understand why cremated bone seems to provide reliable radiocarbon dates (Van Strydonck et al. 2010; Huls et al. 2010; Olsen et al. 2012; Zazzo et al. 2012). None of these studies, however, have included cremations of modern bone on outdoor fires. Here, modern animal joints are burned outdoors with ‘old’ fuels (dendrochronologically dated wood and manufactured coal briquettes) for the first time. Due to the limited amount of dendrochronologically dated wood available, the pyres erected were much smaller than for a real human cremation, and it was possible to burn only small animal joints instead of entire animal corpses as undertaken in previous studies (for example Sheridan, 2010, though this was done for very different purposes). Much information can nevertheless be obtained from these experiments, not only for radiocarbon dating, but also to better understand ancient cremation practices, as well as the processes impacting bone structure when submitted to high temperatures (600ºC and above). 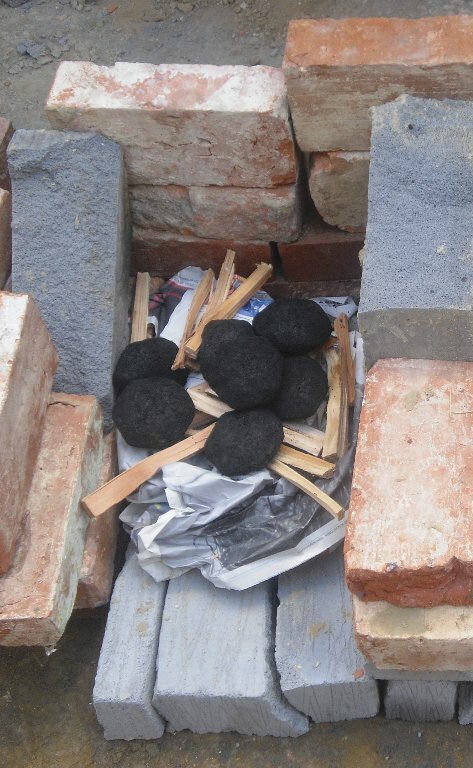 Several pyres were prepared, each surrounded by a small brick wall on three sides to protect it from wind and to minimise CO2 cross-contamination (See Figures 1 & 2). Animal remains obtained from local butchers, fish mongers and supermarkets were burned on different pyres fuelled with manufactured coal briquettes or dendrochronologically dated wood. The animal samples included a cow tibia, two pig ribs, a foot and a shoulder, two lamb legs, a whole chicken, and two fish vertebral columns. The pig foot and shoulder still retained all flesh and skin and were specially chosen, together with the whole chicken, to represent as closely as possible the remains of a recently deceased individual. Starting the fire was relatively easy, and in about 10 minutes, the pyres were burning well, reaching temperatures above 600ºC. Once the pyres were lit, the animal bone pieces were placed on the difference fires and left there until full calcination, until it started to rain (a hazard of outdoor experiments in Britain!) or until the fire went out. The fires were maintained until no more wood was available. During burning, the flesh and skin became black before disappearing completely. The colours of the remaining bone fragments gradually turned from black to white. Black colour indicates that the bone is not fully cremated while white is characteristic of fully calcined bone (Shipman et al. 1984). 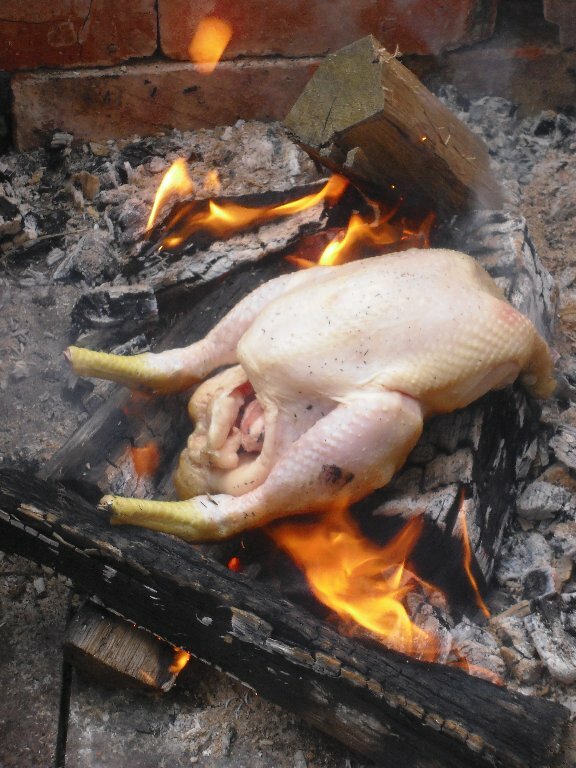 The burning of the whole chicken (See Figure 3) was particularly instructive: it was possible to observe all the different stages of a cremation (which is not possible with cremation of partially defleshed bone or cremation in a closed furnace). It took two hours and a half for it to burn completely. First, the skin turned brown and the chicken looked like a typical Sunday roast for about ten minutes before starting to turn black. The legs and wings turned black much faster than the rest of the body (See Figure 4). The skin and flesh then gradually disappeared and, after two hours and a half, only very small, fully calcined bone fragments were recovered. It was very difficult to recover these fragments as they were extremely brittle and many were reduced to powder (ashes) when trying to collect them. 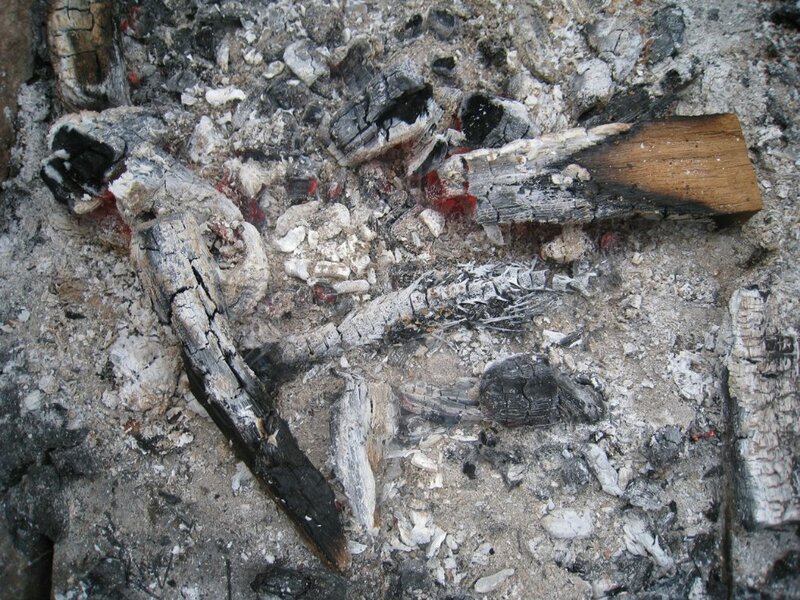 At the end of the cremations, it was the fish vertebrae that were the most recognisable and easiest to recover from the wood ashes (See Figure 5). Neither the chicken nor the fish vertebrae, however, are straightforwardly representative of human remains: the first because of its size, and the second because of their structure. Therefore, pig, lamb and cow joints were also burned. One of the interesting results of this study is the extreme variability in the temperatures recorded during the cremations via a thermocouple: from 600 to 900ºC. Temperatures above 900ºC were also recorded locally, but only for a few seconds at any given time - such temperatures would be reached and maintained much more readily in a larger pyre of course. It appeared that the hottest point of the fire shifted over time. This confirms the importance of carrying out experimental cremations in outdoor conditions since the temperature will remain relatively constant with time and space in a laboratory furnace, far from representative of real life conditions. The variability in temperatures, viewed together with variation in bone thickness, explains why some parts of the bone were only charred while others were fully calcined. In general, small fragments (for example the phalanges of a pig foot) were fully calcined, while larger ones (for example the cow tibia) were partially calcined with their outer parts mostly white and the inner parts partially grey and black. Cremated (charred and calcined) and unburned bone fragments were analysed by Fourier Transform Infrared Spectroscopy (FTIR) in order to observe structural and compositional changes. 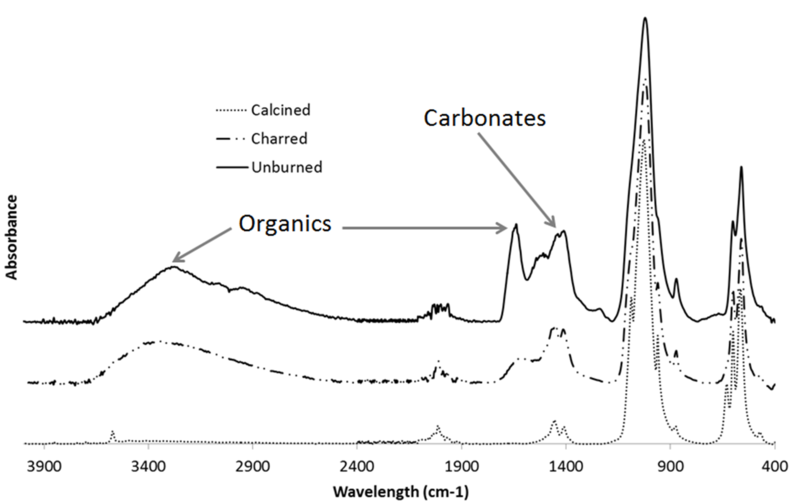 Figure 6 presents the infrared spectra of an unburned, charred, and calcined cow tibia. The first main feature of interest is the complete removal of organics once the bone is calcined. Yet it is still possible to detect a large amount of organic material in the bone when it is only partially burned, in other words, charred. The second observation is the loss of a large amount of carbonates during the transformation of unburned into fully calcined bone fragments. Fortunately, some carbonate remains, and this is of particular importance for radiocarbon dating. Since all organic material has been destroyed during cremation, the small amount of carbonate left in the bone after cremation is the only place in which carbon can be found. It remains unclear, however, whether this carbon is endogenous to the bone or whether it has been absorbed from elsewhere (for example from the carbon dioxide emitted by the flesh and skin, or by the fuel used during cremation). Some of the studied bone fragments were radiocarbon dated and stable carbon isotopic ratios (δ13C) were measured by mass spectrometry (MS). One of the animal joints burned on the manufactured coal briquettes (dated to ca. 26,000 BC) yielded a result of 4,000 years old when radiocarbon dated (OxA-24941: 2115 ± 86 BC). Detailed results of these analyses, alongside suggestions regarding the origin of the carbon that remains in bone after cremation are to be presented elsewhere (Snoeck et al. in preparation). When bone is cremated, it is not only its external appearance that changes, but also its chemical composition and microstructure. These changes do not occur instantaneously, but gradually as the colour variations already indicate. It nevertheless continues to prove difficult to explain exactly what happens during cremation from a chemical and isotopic point of view. The results presented here and elsewhere (Snoeck et al. in preparation) represent a further step towards the understanding of cremation processes. Regardless, many more laboratory experiments and outdoor cremations are needed before all the questions related to cremation can be answered. The present research highlights the importance of carrying out outdoor cremations: because of the extreme variability in burning conditions (wind, types and amounts of wood used, size of the body, position of the body on the fire, et cetera), it will be possible to obtain a reliable and comprehensive dataset only by burning a wide range of bone fragments on outdoor pyres of various types and sizes, and by doing so on different days and in different regions. This research is enabled by the generous financial support of the Wiener-Anspach Foundation (www.fwa.ulb.ac.be). The authors are very grateful to Dr Daniel Miles from the Oxford Dendrochronology Laboratory who provided the dendrochronologically dated wood. The butchers and fish mongers (Hedges, John Lindsey and Son, and Haymans Fisheries) from the Oxford Covered Market are also thanked for supplying the various animal and fish samples. BOWLER, J. M., JOHNSTON, H., OLLEY, J. M., PRESCOTT, J. R., ROBERTS, R. G., SHAWCROSS, W., & SPOONER, N. A. 2003. New Ages for Human Occupation and Climatic Change at Lake Mungo, Australia. Nature, Volume 421, p. 837–840. The Cremation Society of Great Britain, 2007. International Cremation Statistics 2007. http://www.srgw.demon.co.uk/CremSoc5/Stats/Interntl/2007/StatsIF.html (accessed 14/05/2013). DAVIES, D. J. & MATES, L. H., 2005. Encyclopedia of Cremation. Aldershot, Hants: Ashgate. HULS, C. M., ERLENKEUSER, H., NADEAU, M.-J., GROOTES, P. M., & ANDERSEN, N. 2010. Experimental Study on the Origin of Cremated Bone Apatite Carbon. Radiocarbon, 52(2–3), p. 587–599. LANTING, J. N., AERTS-Bijma, A. T. & VAN DER PLICHT, J., 2001. Dating of Cremated Bones. Radiocarbon, 43(2A), p. 249–254. MCKINLEY, J. I., 1997. Bronze Age "Barrows" and Funerary Rites and Rituals of Cremation. Proceedings of the Prehistoric Society, Volume 63, p. 129–145. NAYSMITH, P., SCOTT, E. M., COOK, G. T., HEINEMEIER, J., VAN DER PLICHT, J., Van Strydonck, M., Bronk Ramsey, C., Grootes, P. M., & Freeman, S. P. H. T. 2007. A Cremated Bone Intercomparison Study. Radiocarbon, 49(2), p. 403–408. OLSEN, J., HEINEMEIER, J., HORNSTRUP, K. M., BENNIKE, P., & THRANE, H. 2012. "Old Wood" Effect in Radiocarbon Dating of Prehistoric Cremated bones? Journal of Archaeological Science, Volume In Press. SHERIDAN, A., 2010. 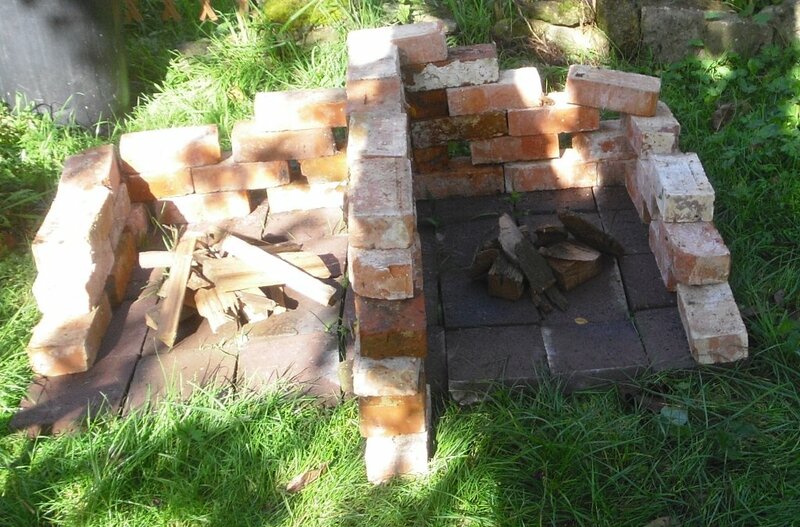 Cremating Miss Piggy: An Experimental Bronze Age-Style Cremation. ‘A lad O’Pairts’. A Day Conference in Memory of Ian Shepherd. http://www.aberdeenshire.gov.uk/archaeology/projects/IanShepherdConferencePapers-WebVersion.pdf(accessed 14/05/2013). SHIPMAN, P., FOSTER, G. & SCHOENINGER, M., 1984. Burnt Bones and Teeth: An Experimental Study of Color, Crystal Structure and Shrinkage. Journal of Archaeological Science, Volume 11, p. 307–325. VAN STRYDONCK, M., BOUDIN, M. & DE MULDER, G., 2010. The Carbon Origin of Structural Carbonate in Bone Apatite of Cremated Bones. Radiocarbon, 52(2–3), p. 578–586. WAHL, J., 2008. Investigation on Pre-Roman and Roman Cremation Remains from Southwestern Germany: Results, Potentialities and Limitations. In: The Analysis of Burned Human Remains. London: Academic Press, p. 145–161. ZAZZO, A., SALIEGE, J.-F., LEBON, M., LEPETZ, S., & MOREAU, C. 2012. Radiocarbon Dating of Calcined Bones: Insights from Combustion Experiments Under Natural Conditions. Radiocarbon, 54(3–4), p. 1–12.